Our Spring Ball brought together dozens of local businesses who helped us raise £34,000! On the evening of Saturday 23rd March 2019, St Clare Hospice hosted a Spring Ball at Weston Homes’ Conference Centre in Takeley, near Bishop’s Stortford. Dozens of local businesses attended the event to help raise vital funding for St Clare, supporting the delivery of our specialist palliative care across West Essex and East Hertfordshire. More than 100 attendees enjoyed a prosecco reception, followed by a 3-course meal and an evening of live musical entertainment from local band Frisco Monk. An auction on the night boasted major prizes up for grabs including: a flight to Le Touquet for lunch courtesy of Paul Donovan, a golf holiday in the Algarve courtesy of Hashtag Travel and a hospitality match at West Ham courtesy of Alloy Fabweld. 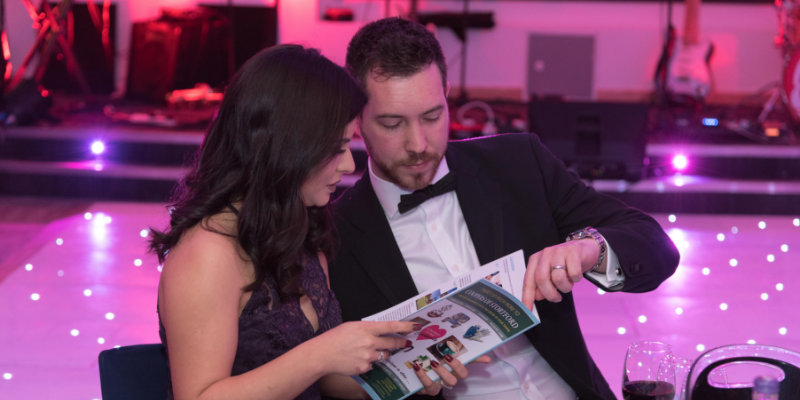 In total, St Clare Hospice’s Spring Ball raised over £34,000 in vital funding after attendees bid generously during the live and silent auction.